The Andes of Ecuador offer an incredible variety of landscape, nature, culture and adventure. National parks, nature reserves, archaeological sites, indigenous pueblos and superbly beautiful scenery abound. 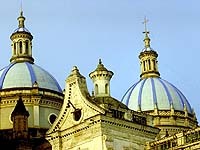 Quito, the cultural centre of the Andes and the capital of the country, is a World Heritage Site. Our tours offer you a unique opportunity to experience the very best of the Andes in Ecuador. If you don't see a tour that meets your interests or requirements, just let us know and we will design one for you and your budget. If you do not see exactly what you are looking for jus let us know. 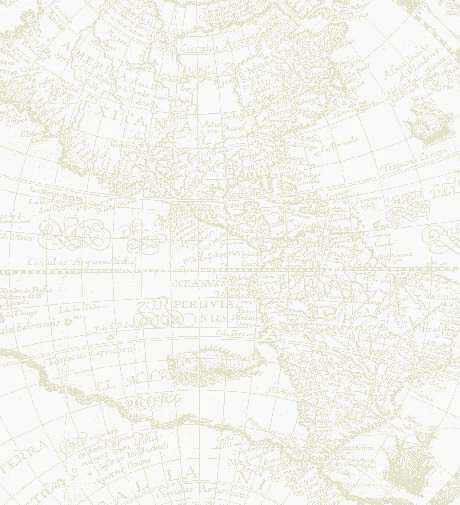 We would be happy to design a custom itinerary just for you. Your stay in Quito must include a visit to the Colonial sector, the old and charming city with its 400 years of Spanish heritage. The capital of Ecuador, has a setting that few cities can match. During the 13th century it was the prosperous center of the Kingdom of Quitus. Later became the northern capital of the Inca Empire. In the 16th and 17th centuries, Colonial architects built formidable temples, monasteries and mansions, creating an urban jewel designated by UNESCO as a World Heritage Site. Today, Quito brings the past to life in its museums, convents, the carved stone facades and golden altars of its many churches, as well as in the Archaeological Museum that displays centuries of pre-Columbian treasures. Quito's artistic creativity awaits you in cosmopolitan galleries and boutiques filled with contemporary paintings, sculptures and exquisite traditional crafts. First stop is in the colonial city at the Parliament Building, whose stone mural records Ecuador's history. Then a stroll downtown and visit the colonial temples and monasteries of this urban jewel, designated by UNESCO a World Heritage Site, starting at the Independence Plaza, flanked by the Cathedral, the Presidential Palace, the Municipal Building and the Archbishop's Palace. Visit the Church of La Compañía de Jesús. 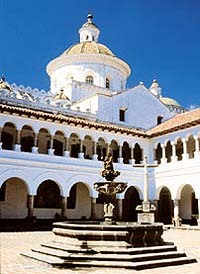 Continue to the Church of San Francisco, one the of great religious buildings of the New World; its impressive façade and atrium lead to its gilt interior a Baroque influenced by Moorish style, with the winged Virgin of Quito at its main altar. Drive into the old Colonial city for a sight of the romantic plazas and past the impressive public and religious buildings. Quito is particularly splendid in the evening when illumination adds a special drama and mystery to its baroque architecture. Then, to the hills on the west side of the city for a panorama of twinkling lights covering the valley below. Return to town for dinner at a selected restaurant of Ecuadorian cuisine. Casual evening dress - coat is needed. This tour does not include walking, it is a drive-through. Camera and film for night. To the north of Quito, the province of Imbabura is one of the most popular destinations in Ecuador: a magical land of lakes, snow-covered mountains and terraced farmlands. For centuries, regional markets have played an important role in Indian life, providing regular gathering places for trade and socializing. 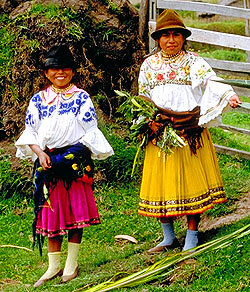 The colorful local markets of the Andean Valleys are famous for their fine handicrafts. The Otavalo Indian market dates back to pre-Inca times and is famous for its textiles woven on backstop and shuttle looms. This one-day private excursion has been designed to provide guests with an overall view of the dramatic Andean scenery, with an earlier departure to arrive in time to appreciate the activity of the Otavalo Market, visit the town of Peguche and observe the weaving processes at a textile workshop. This excursion goes north, to the land of the Otavalos and South America’s most famous Indian fair along the Panamerican Highway through dramatic mountain scenery to the textile market of Otavalo, where guests will enjoy visiting the many stalls full of ponchos, scarves, blankets, wall hangings, woven belts (fajas), hats, handbags and much more. Here Otavaleños barter in silence, in marked contrast to the raucous noise of other markets; take your time to negotiate the best bargains. 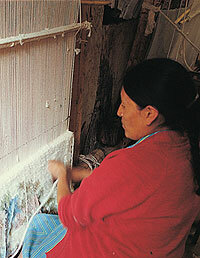 Then, proceed to Peguche, an Indian village very near Otavalo that is home to the artisans who do the weaving in their homes; guests can learn about their culture and everyday life. Lunch is at one of the charming country inns or haciendas of the area. This full-day excursion offers an in-depth experience into the traditional way of living of the Otavalo people, their history, customs, handicrafts and, very importantly, music. Lunch is at an Indian home, lovingly prepared in the traditional way, so guests have the opportunity to taste the Andean delicacies. Early departure from Quito towards the north along the Pan American Highway, to the famous market of Otavalo -visit the textile and vegetable markets- and then continue on to Peguche, a small Indian town just five minutes north of Otavalo. The people of Peguche are famous for the weavings, done in pedal shuttle looms and also in the ancient back-strap loom where the finest belts or fajas are exquisitely woven. Guests have the opportunity to roam around the town, go into the houses -- which are open to visit, observe, photograph and shop for handcrafts. The natives of Peguche often travel all over the world selling their merchandise of good quality and bright colors, such as wall hangings, blankets, scarves, shawls, baby alpaca sweaters, woven belts and many other items. Peguche is also well known for the music groups and shops where Andean musical instruments are produced, such as the large panflutes or zampoñas, quena flutes, drums, charangos and guitars. The artisans will delight you by playing the instruments they manufacture. For lunch, guests will have the opportunity to taste the best of the Andean delicacies lovingly prepared in the traditional way. This is a real ethnic experience, in close contact with the Otavalo culture. At the heart of an exuberant subtropical forest to the northwest, very close to Quito the capital of Ecuador, lays Tulipe, the ceremonial center of the Yumbo culture. Bordering a river of crystal-clear waters, this is a unique energetic site where ceremonial practices of this pre-Hispanic society took place to honor the sun, their highest deity. The visit to Tulipe is a kind of pilgrimage to this sacred place, a spiritual, mystical encounter with nature, for a better understanding of the importance of the sun for the ancient civilizations of the Center of the World including a visit to the monument marking Latitude 0°. The ancient inhabitants of Ecuador, right on the Earth’s equator, had the unique opportunity to observe the sky at its greatest, both during days and nights. Being at the Center of the World, and up in the mountains, they had an excellent natural location for astronomical observations, an entire panorama of the celestial heavens, as both the northern and southern skies are visible, and it was easier for them to determine the movements of the Sun. Because of the earth’s 23.5-degree tilt, the sun does not rise and set in the same place each day., but twice a year, during the Equinoxes on March 20 and September 21st the sun rises in the east and follows the equator line for 12 hours, setting exactly in the west. At midday on an equinox, the sun is at its zenith over the equator and no objects cast a shadow there. The sun not only determined the agricultural cycles, it was considered the highest deity in the Andean world. 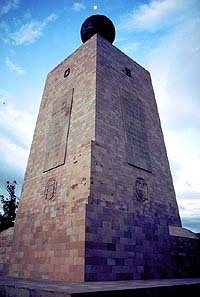 Guests can now visit Tulipe, one of these ancient sites for astronomical and solar observations, in a kind of pilgrimage to this sacred place, a spiritual, mystical encounter with nature, the unique energetic sites and ceremonial practices of pre-Hispanic societies and their relation to the Solar Cultures. Tulipe, unique due to its position as a link between the coastal and Andean pre-Columbian cultures, lies at the heart of an exuberant subtropical forest to the northwest and very close to Quito, bordering a river of crystal-clear waters; it was the ceremonial center of the Yumbo culture. The Yumbos were peaceful people dedicated to agriculture and commerce, with a close relationship with their environment and Solar Cosmovision. It features stone structures like pools or water mirrors of various forms, joined together by a network of aqueducts, where the shamans (priests) and yachaks (sage men) performed astronomic observations, ceremonies and cults to the sun and the moon. A hike on a path leading to the main pool is particularly interesting, surrounded by trees and medicinal, ritual and ornamental plants that borders the Tulipe River. The pre-Hispanic Yumbo etnia lived in this region from 800 to 1660; they were mindalaes or merchants, who controlled the crucial trade route between the Pacific Coast, the Andes and the Amazon to the east. Their very interesting ancient mountain paths or coluncos can still be used; these are deep and narrow passageways, covered by entwined vegetation that formed a roof and allowed the merchants to travel under this cool protection. After lunch, a visit is made to the Inti Ñan Museum, for a better understanding of the importance of the sun for the ancient civilizations of the Center of the World – including a visit to the monument marking Latitude 0°. Dress in layers (T-shirt, blouse, sweater, coat). Take rain protection. This tour includes walking at altitudes averaging 1450 meters above sea level. Sun protection (SPF 40). Hat or cap. Good walking shoes. Temperature: Day, average 15° to 28° C / 59° to 82° F.
Cuenca is Ecuador's third largest city; yet it still retains its pleasant provincial air. Its red tiled roofs, cobblestone streets, flowery plazas and museums make it very special. This comprehensive tour includes the Plaza of San Sebastian, a colorful artisans market, where handicrafts are sold. Then, visit the Museum of Modern Art, featuring an excellent collection of contemporary fine art. The original building was the "House of Temperance" where alcoholics were once shut inside its thick walls in an effort to cure them. A stop is made at Plaza San Francisco, where the exquisitely embroidered skirts of the cholas are for sale. Next is a visit to the flower market at the small plaza in front of the carved stone entrance to the church of El Carmen de la Asunción. From here, a stroll to the main square, surrounded by the imposing blue-domed Cathedral, the Court of Justice, the Municipal Palace, the Governor's Palace and the Church of El Sagrario. Then, a drive along the Tomebamba river to admire the city's overhanging houses and the laundry spread out to dry on its river banks and a great view of the city from the Hill of Turi. Dress in layers (T-shirt, blouse, sweater, coat) and rain protection. Sun protection (SPF 40) even if the day is cloudy. Hat or cap. Good walking shoes. Average Temperature: Day 10° to 25° C / 50° to 77° F.
Visiting the promontory that dominates the valley beneath, the fortress of Ingapirca stands a proud testimonial of past magnificence. Elliptical platforms, trapezoidal doorways and stone, mortar-less walls perfectly fit together amaze the most sophisticated. A day trip that is most fascinating. 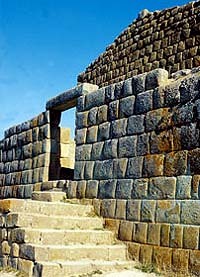 This tour features a fascinating day trip to Ingapirca, the most northern fortress-temple remaining from Inca times. Sun-worshippers built this stone center on a promontory high above the Cañar valley, about 96 Km (60 miles) northeast of Cuenca and at an altitude of 10,595 feet (3,230 meters) above sea level. Ride through enchanting highlands, passing through the towns of Azogues and Cañar. Visit the mountain-bound sanctuary of Our Lady of Rocio in Biblian built on steep rock and a small hat workshop. Upon arrival at Ingapirca stop at the on-site museum, and admire the stone fortress with several trapezoidal doorways and stone walls perfectly fit together, without mortar, of the Inca construction. There is an elliptical platform, known as the Temple of the Sun used for religious and ceremonial purposes, the barracks, the stone "Inca Face" and the zoomorphic carvings. Lunch at a pleasant inn of the area before the return to Cuenca. Dress in layers (T-shirt, blouse, sweater, coat). Take a warm coat for evening and rain protection. Sun protection (SPF 40) even if the day is cloudy. Hat or cap. Good walking shoes. The sophisticated and strikingly-contemporary lodge is designed as the ideal springboard for exploring the biodiverse world of its private reserve. A hideaway in the clouds only accessible to its guests and located on a high plateau, Mashpi Lodge features views of the forested mountains on one side and the forest right up close on the other through its floor-to-ceiling glass windows. The Lodge, built with the latest techniques in sustainable building and employing hydroelectric power in the near future, is designed to blend beautifully with its surroundings. It features contemporary, minimalist decor, mixing warm earth tones, notes of bright colour, clean lines and striking angles and vistas: a luxury cocoon amid the cloudforest with the natural world just beyond, ideal for contemplation and relaxation. Mashpi Lodge is intimate, accommodating a maximum of 44 guests in 22 understated yet luxurious rooms, including 3 "Yaku" suites and 19 "Wayra" rooms. A special nature lovers' full-day tour to the world's highest active volcano in Cotopaxi National Park, discover the Andean moorlands or paramo and enjoy breathtaking landscapes. Lunch at a charming hosteria or hacienda. The Cotopaxi National Park is an ecological sanctuary of 36,000 hectares (88,920 acres) surrounding Cotopaxi, the highest active volcano in the world, specially attractive for nature lovers, with the treeless vegetation of the Andean moorlands or páramo. Bird life includes the Andean gull, ducks, several species of hummingbirds and with some luck, the condor. Look directly up the magnificent Cotopaxi Volcano, rising 6,005 meters (19,700 feet). Lunch at the very heart of breathtaking landscapes or at a hosteria or hacienda nearby before returning to Quito. Entrance fee to Cotopaxi National Park is extra. Warm clothing is needed and hat or cap. Sunblock (SPF 40). Good walking shoes. Camera (wide angle lens). Binoculars. Sunglasses. This is a spectacular day trip out of Quito to the volcano Antisana, the fourth in altitude in Ecuador, covered with glaciers and snow, and the surrounding Ecological Reserve. After about an hour's drive southeast from Quito (60 kilometers) the climb and spectacular scenery on Antisana begin with close-up views of a massive glacial moraine, dating back to 11,000 year ago. As you climb higher on a good paved road, with practically no traffic, you can enjoy the spectacular montane scenery with jagged rocky peaks and the glacier-covered summit above tree line, vast sweep of paramo vegetation above the shrubs at tree line. The first stop is for an overview of the impressive lava flow at Antisanilla, and the next one to admire an incredibly huge wall of cliffs across a narrow canyon, where condors can be seen fairly regularly, as they breed here. They are usually seen soaring up near the highest peaks, a great distance away. Up in the paramo (at about 12,000 ft. elevation) several stops are made to walk about on level ground and observe the beautiful but small paramo flowers hugging the ground among the lichens and paramo straw: yellow composites, gentians, red Indian paintbrush, orchids and chuquiraguas. Around the many paramo lakes and ponds you can observe the glacial morraines and birds in both a diversity of species and individual abundance of most of them such as the highly endangered Black-faced Ibis, Cinereous Conebills, Brown Speckled Teal, Andean Lapwings, many Carunculated Caracaras, Black Wing Doves, and the rare Siskin. Some fisherman are allowed to fish for large trout in certain montane lakes of the area, from where part of Quito's water supply comes from. After all this natural history excitement, drive over to the hacienda Antisana for lunch. A three-course hot meal is served at the hacienda's dinning room, warmed by glowing fireplaces. 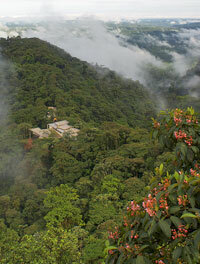 After lunch, drive back to Quito amid breathtaking settings.Entrance fee to Antisana Reserve is US$ 10.00 per person. Warm clothing is needed. It is quite windy, consider gloves and ear protection. Sunblock (SPF 40). Good walking shoes. Camera (wide angle lens). Binoculars. Sunglasses. This is a spectacular excursion to the high Andes of Ecuador, into the paramo and the montane forest, rich in unusual flora and fauna. The voyage starts with a drive to the Antisana volcano, the fourth in altitude in Ecuador, covered with glaciers and snow, and the surrounding Ecological Reserve. The climb and spectacular scenery on Antisana begins with close-up views of a massive glacial moraine, dating back to 11,000 year ago, jagged rocky peaks and a vast sweep of paramo vegetation above the tree line. Up in the paramo (at about 12,000 ft. elevation) several stops are made to walk about on level terrain and observe the small but beautiful paramo flowers hugging the ground among the lichens and paramo straw: yellow composites, gentians, red Indian paintbrush, orchids and chuquiraguas. Andean birds abound, in both a diversity of species and individual abundance of most of them, such as the highly endangered Black-faced Ibis, Cinereous Conebills, Brown Speckled Teal, Andean Lapwings, many Carunculated Caracaras, Black Wing Doves, and the rare Siskin. After all this natural history excitement, drive over to the hacienda Antisana for lunch. A three-course hot meal is served at the hacienda's dinning room, warmed by glowing fireplaces. In the afternoon, drive on to Papallacta and its hot springs, amid a breathtaking setting. 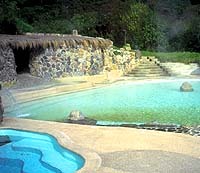 Papallacta Thermal Springs Resort is nestled high in the Andean Cordillera at the entrance of the Amazonian jungle and features several hot thermal spring pools of different sizes and temperatures. Facilities include a first-class hotel, a spa and a restaurant offering local and international cuisine with its main specialty: fresh trout. The second day, start with a nature walk alongside pristine mountain streams, observing the flora and fauna of the humid montane Andean forest of the Canyon Ranch, one of the entrances to the ecological reserve Cayambe-Coca and then relax and soak away life's aches and pains and experience the notable, restorative effects of the thermal waters (sulfate alkaline terreous). The water is odorless, crystalline and ever changing. Return to Quito in the afternoon. The excursion to the renowned Mindo-Nambillo Protected Forest has been specially designed for bird watchers and nature lovers. The Valley of Mindo is within the protected Mindo-Nambillo forest, located a short two-hour drive to the northwest of Quito. The 48,000-acre (19,200 hectares) Forest stretches over the slopes of Pichincha Volcano and covers diverse ecosystems ranging from the cloud-high, treeless plateau or " paramo" through subtropical forest to tropical jungle. While Mindo is a haven for bird watchers, it also appeals to photographers and explorers for its outstanding panoramic views. A first short stop is made at the rim of the crater of the extinct Pululahua Volcano, before descending into the Valley of Mindo. Specially trained guides introduce visitors to the mysteries of the Cloud Forest, pointing out the unique flora and fauna. Visit the El Pahuma Orquid Reserve and its Orchid Botanical Garden with flowering orchids mounted on the trees and placed in the vegetation along the trail, consistent with each species' habitat. Labels identify each specimen. Then, a hike on a trail through lush, epiphyte-laden cloud forest, alongside a lively, sparkling creek to the 50 meter (165 foot) Pacaya waterfall. The El Pahuma Orchid Reserve is a privately owned forest of an Ecuadorian family who is searching for a viable economic alternative to destructive activities such as logging or cattle raising, and it protects over 600 hectares (over 1500 acres) of tropical montane forest. Over 170 species of orchids have been identified within the reserve, which lies in a region with some of the highest rates of plant endemism in the world. Orchids, bromeliads, heliconias, ferns, vines, mosses and lichens grow in abundance here. After a brief rest stop, continue to the quaint little village of Mindo, at an altitude of 1300 meters, observing the bird life along the way. Bird watchers may find here some of Ecuador's most rare species. BirdLife International has designated Mindo as an IBA (Important Bird Area), the first such site in South America. Then, a visit to the Butterfly Vivarium, housing 25 varieties of butterflies. Flight areas simulate the outside forest with water streams, mineral deposits, and a wide range of wild flowers. Hundreds of caterpillars feed on their host plants in their natural environment to assure the best development of pupae and butterflies. Lunch is served at a restaurant of the area. Dress in layers (T-shirt, blouse, sweater, coat). Take rain protection. This tour includes walking at altitudes between 4,700 to 1,400 meters, (15,700 to 4,600 feet). Sun protection (SPF 40). Hat or cap. Good walking shoes and an extra pair of socks. Binoculars are essential. Temperature: Day, average 15° to 28° C / 59° to 82° F.
Starting at 3,000 meters (10,000 feet) above sea level, this lake district is the aftermath of intense volcanic activity and glaciation. The highest point is reached on the road at Three Crosses, where waters divide with a part running to the Pacific and another part down to the Atlantic. Scenery is splendid and walking and hiking amongst the clouds is a rewarding experience. A jacket and walking shoes are necessary when heading for the area of Cajas, 19 miles (30 Km.) west of Cuenca. 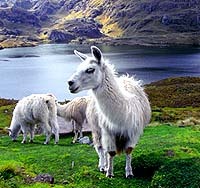 Cajas is lake country, a protected 28,800-hectare area starting at 3,000 meters (10,000 feet) above sea level; the region shows remains of intense volcanic activity and glaciation. The highest point is reached on the road at Three Crosses, the water divide of those than go to the Pacific and to the Atlantic. The wind and drizzle can make it very cold, but the scenery surrounding these 230 lakes is splendid, for walking and hiking, for observing flora, fauna and bird life. The vegetation includes small forests of quinua trees, a high protein grain. These dwarf forests are home to many species of birds like hummingbirds and the gray-breasted mountain toucan. The cold lakes of Cajas are full of trout, and A visit to a trout-breeding hacienda is included, where lunch will naturally feature delicious fresh trout. Entrance fee to Cajas National Park is included.Warm clothing is needed. It is quite windy, consider gloves and ear protection. Sunblock (SPF 40) even if the day is cloudy. Good walking shoes. Camera (wide angle lens). Binoculars. Sunglasses. The best white water west of the Andes, the Toachi thunders down the highlands into the coastal tropical rain forest providing thrilling Class III and III+ rapids making this run a great single day adventure 2 hours from Quito. The Toachi River begins high up in the Andes from the Illinizas Peaks, thundering its way down west towards the Tropical Rain Forest of the coastal Lowlands. The Toachi provides thrilling Class III and III+ rapids that make this run a great single day adventure. Depart early from Quito to navigate up to 19 miles (30 kilometers) of the best white water west of the Andes. Depending on water levels, the rafting adventure will take between 3 to 4 hours. The Toachi Gorge is one of Ecuador's most famous runs, with uninterrupted action including the famous and technical Sapo Rapid. The gorge is a beautiful contrast of the white water and the lush greenery of the jungle. Enjoy lunch on the riverbank at the end of your adventure. Return to Quito by late afternoon by private transportation. Soar with the condors, bike with the pumas. 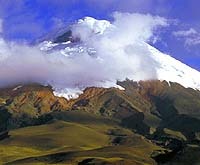 This moderate to challenging adventure takes place at the foothill of the majestic snow-capped active volcano Cotopaxi. Cycling will start at the Limpiopungo lake exploring the park from north to south through highland plateaus. Cotopaxi National Park is covered by a dense pine forest that is now home to deer and the endangered Andean Puma. The Andean Hillstar, a small hummingbird is one of the unique bird species that lives in this region along with the majestic Andean Condor, the largest flying bird in the world. Discover many other species that make this a rich fauna area. Besides the imposing Cotopaxi Volcano, the National Park is filled with serenely beautiful paramo, landscapes and lakes. Depart from Quito to the Cotopaxi National Park up through Pedregal to the northern entrance. Explore the park from north to south crossing through Highland plateaus and observing unique vegetation and fauna amidst stunning volcanic scenery. Start cycling on sandy, volcanic trails to the lower section. Visit Limpiopungo Lake at the foothills of the Rumiñahui Volcano. Transportation team will provide support throughout the day. Exit the park through the valley that leads to Lasso.